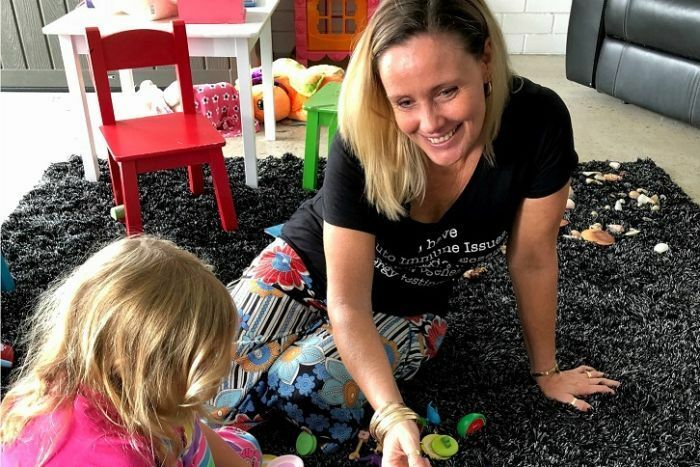 A network of anti-vaccination families in Queensland are creating their own social services, including childcare and schooling, in a bid to counter immunisation policy. The state-based No Jab No Play policy prohibits unvaccinated children from attending childcare in New South Wales and Victoria. In Queensland, childcare providers can cancel or refuse the enrolment of a child who is not vaccinated. 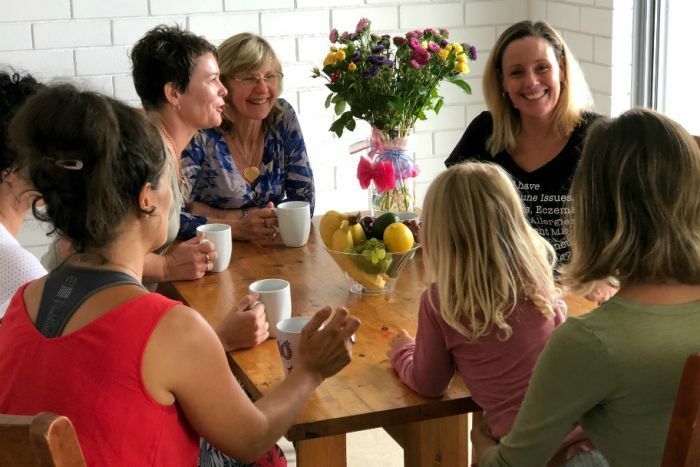 Sunshine Coast vaccine refuser and leader of the Natural Immunity Community, Allona Lahn, said her anti-vaccine network had grown to 800 members and was becoming stronger since the regulations were introduced. "We've been forced out of the mainstream," Ms Lahn said. "Out of sheer necessity we've created a community base to support families — we've had no choice other than to start our own social services. "The network is ultimately about protecting members of the community because many are so fearful and feel scared, alone and isolated." Ms Lahn said the network with like-minded families included their own childcare, schools and health services away from the mainstream. "We organise group childcare arrangements and we're now devising our own combined homeschooling system," she said. Ms Lahn said network members were turning away from mainstream health services because they faced intimidation and coercion. She said the regulation had put more pressure on vulnerable families because of their decision not to vaccinate. "The policy and crackdown targets us, our beliefs and discriminates against our families, our children," she said. "Parents are being forced out of the workforce to homeschool because their children are being bullied. "Other parents can't afford to pay childcare fees without the childcare rebate." Ms Lahn acknowledged the choice to vaccinate was divisive, even among its own community, as show by the need for a singles group for like-minded people looking for love. "If people are very passionate one way or the other about vaccination it can become an issue for couples in their relationships," she said. "Many relationships have broken down based on vaccination because there's been a severe disagreement." According to the World Health Organisation, immunisation and clean water are the most effective public health interventions of modern times. A study by the National Centre for Immunisation Research and Surveillance found that between 2005 and 2014, 23 children died in New South Wales from diseases that could have been prevented by vaccines available at the time. Australia's national target is for 95 per cent of five-year-olds to be immunised. Data from the Australian Institute of Health and Welfare (AIHW) showed that in 2015-16, about 93 per cent that age group was vaccinated, up from about 90 per cent four years earlier. However, some areas of the Sunshine Coast have the lowest immunisation rates in the state for five-year-olds, ranging from 86 to 93 per cent, depending on location. AIHW spokesman Michael Frost said the target rate was to reduce the spread of vaccine-preventable diseases. "Even though the majority of Australian kids are immunised, it's important to maintain high immunisation rates to protect the community, including vulnerable groups such as babies who are too young to receive their vaccines," Mr Frost said. According to Queensland Health, the risk of side effects from an immunisation is less than the risk of severe complications associated with a vaccine-preventable disease. The department's current immunisation strategy reports most unvaccinated people who come into contact with an infected person will catch the disease. The state-based No Jab No Play policy is different to the Federal Government's No Jab No Pay regulation introduced in 2016. In South Australia, Western Australia, the Australian Capital Territory, Northern Territory and Tasmania, there is no No Jab No Play policy and children do not need to be immunised to attend child care. Anti-vaccination campaigner Allona Lahn says the Federal Government's policy discriminates against families and children. Yvette Miller, an associate professor and director of research at the School of Public Health at the Queensland University of Technology, said the Natural Immunity Community network's response to mobilise its own community was expected. "We've implemented policy and legislation that systematically excludes people who are choosing to make specific healthcare decisions," she said. "It's in response to that that some families have mobilised to create some alternative opportunities for social services, and that's to try and ensure that they and their children are less excluded from participating in important aspects of our society, like childcare and paid work." Dr Miller said anecdotal evidence showed the regulations potentially put families at more risk. "Where we don't engage proper conversations, and understand the diversity in matching our services to their healthcare needs, we do really see negative long-term consequences," she said. Dr Miller warned that policies targeting vaccine refusers may have unintended consequences. "We need to be asking for better evidence of whether this approach is actually achieving positive outcomes overall in the target population," she said. "That's not only about how many families have chosen to vaccinate on the basis of these kinds of compliance measures, but also understanding the range of unintended negative impacts of this legislation for children and families, like exclusion from social activities or potentially financial hardship." The Queensland Education Department said homeschooling had more than doubled over the past five years. However, a department spokesman said that while data relating to vaccine refusers specifically was not collated, the department was aware homeschooled children came together "to broaden their educational experiences or for social reasons". But Accelerate Christian Home Schooling coordinator Stuart Chapman said statistics indicated that the number of vaccine-refusing homeschooling families had increased substantially. "But we should remember that it's still a small number of families who homeschool because of changing vaccination regulations," he said. Editor's Note (1/3/18): This article has been amended to include more statistics around immunisation and comments from health organisations.